The house edge is a percentage reflecting the advantage that a particular casino game has over the player. It is not, however, the ratio of money lost to the total wager. Instead, it indicates the average loss to the original bet, making it simpler for the customer to estimate their expected losses during a single hand or gaming session. The higher the percentage, the larger the advantage for the house. If a player were to place an initial wager of $100 on a game with a 0.28% house edge, then they could expect to lose 28 cents. On a game with a house edge of 4%, that same wager would lose $4. That may not sound like much of a profit for the casino, but consider that the doors to these establishments are open 24/7. Every minute of the day, the casino is raking in 0.50% here and 12% there. All these figures add up over time, which is why the gambling mecca of Macau brought in $75.27 billion in gross revenue in 2016. Assuming that you understand the house edge and what it represents, this mathematical percentage should also serve as the most compelling piece of evidence against casino fraud. Legions of bitter gamblers swear that casinos resort to underhanded means to take their money. In reality, this is nothing more than a defense mechanism meant to compensate for bad luck and poor strategy. Simply put, casinos don’t need to cheat to get your cash. They have an inherent advantage thanks to the rules of the game and payout odds (which always differ from the true odds). 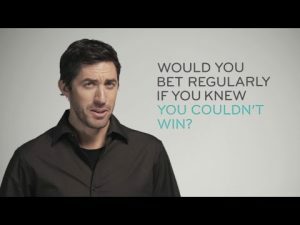 While some players might experience short-term success or even walk away as instant millionaires, most gamblers are going to wind up losing more than they win. This is why gaming establishments continue to flourish, despite the efforts of advantage players and an increasingly savvy betting public. Casino games come in a wide variety, but you can be certain that all of them have been carefully designed to give the house an overall advantage over the players. The edge for some games is fixed, while others vary depending on factors such as deck size and rules. This section includes the house advantage for some of the most popular casino games currently being offered around the globe. The edge is 1.06% when betting on the banker, and it’s 1.24% when wagering on the player. If the tie option is chosen, the edge increases to 14.36%. When playing with liberal Vegas rules, the house edge 0.28%. This includes the dealer standing on soft 17, late surrender, resplitting aces, doubling after splitting, and doubling down on any two cards. The house edge on this card game is 5.22%. The edge is 2.88% when you go to war on a tie. If you choose to surrender on a tie, the edge is 3.70%. When you bet on a tie, the edge increases to 18.65%. This popular dice game has a wide array of bets, often with a different house edge for each. The worst bets are any seven (16.67%) and two, twelve, and all hard hops (13.89%). Pass/come has an edge of 1.41%, while don’t pass/don’t come is slightly better at 1.36%. Taking odds on four or ten, five or nine, or six or eight all carry a house edge of 0.00%, which makes these some of the best wagering opportunities from any casino game (although the player must also pair this with a negative expectation wager). This lottery-style game has a terrible house edge that usually ranges from 25% to 29%, making it one of the worst casino wagers. However, the potentially large payout ensures that bettors still flock to it. The popular Asian domino game has a house advantage of 1.50%. The card game version of the Chinese classic carries a 1.46% edge. The European version with the single zero has a casino advantage of 2.70%. When the 00 is added for the American version, this advantage increases to 5.26%. Depending on which bets you’re placing, Sic Bo has a house edge of 2.78% to 33.33%. 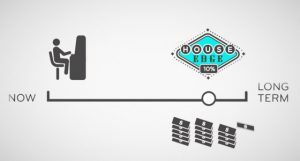 The house edge on slot machines ranges from 2% to 25%, but it’s almost impossible to gauge what the house edge is on the specific machine you’re playing. The edge is 0.76% when the dealer hits on a soft 17, and this lowers to 0.40% when the dealer stands on a soft 17. The PairPlus option carries a 7.28% edge for the casino, while choosing to ante and play results in a 3.37% edge. The traditional Jacks of Better version of the game with full pay has a house advantage of 0.36%. In a few rare cases, some video poker machines played with perfect strategy actually give the player a slight edge over the casino. The best tactic for a gambler is to accept that the odds are stacked against them. Once this realization sets in, you can concentrate on enjoying yourself, which should be the main reason for visiting a casino in the first place.